Millennium Hotels & Resorts (MHR) has launched a new corporate bookings product for small- and medium-sized enterprises (SMEs). Millennium for Business allows SMEs to manage travel, make itinerary style bookings, cater to team members’ needs and earn rewards. All bookings benefit from the updated Best Rate Promise which helps SMEs maximise budgets, while giving travel managers access to insights and reporting tools. 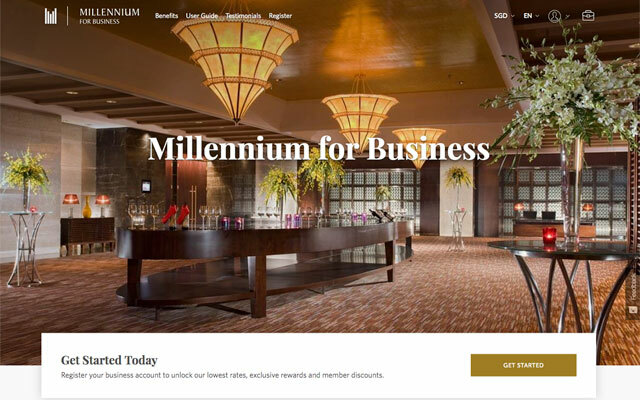 Benefits on offer to Millennium for Business users and guests include regular room upgrades, 15 per cent off on all dining and events, early check-in and late check-out, and access to club or executive lounge. This new programme is available across all of MHR’s hotels in Asia, Europe, the Middle East and the US. Integrated with the recently relaunched My Millennium Guest Reward Programme, the new digital programme is an upgrade from MHR’s previous offering called Business Direct. The new product is driven by industry feedback, according to senior vice president of digital, distribution & revenue strategy, Nayan Peshkar. “SME travel managers told us that travel technology usage is both pervasive and individual at the same time, therefore wanting a service that personalised corporate travel, though also needing it to be secure and fitting into their travel policies,” he said. To learn more about the new programme, visit www.millenniumhotels.com/en/business.